I'm generally not the world's biggest fan of live records. But this recently uncovered live recording of The Plimsouls from 1983, being released Tuesday, Feb 7, documents a great band at the top of its game. In fact, it now stands for me as their definitive work, an amazingly perfect recording. Beach Town Confidential takes you right there to The Golden Bear music club in the surfer party town of Huntington Beach in LA, to see local heroes the Plimsouls. I'm sure the weather was perfect, the girls beautiful, the beer cold and free flowing. You can feel the energy surging as the set progresses, palpable excitement in the air, temperature rising. 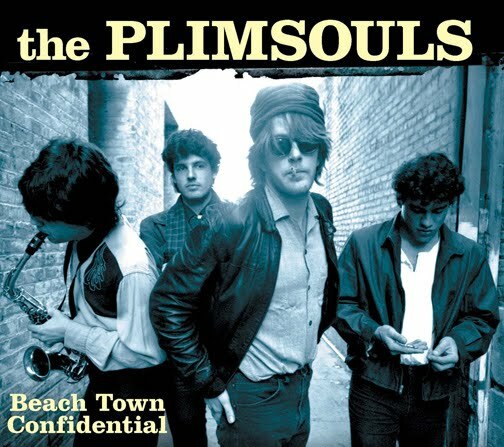 Many of you may only know the Plimsouls from "A Million Miles Away", a perfect power pop song, but they had plenty of arguably equally great songs, many captured on Beach Town Confidential - "Magic Touch", "Zero Hour", "Oldest Story in the World", "Shaky City", "In This Town", and my personal favorite "How Long Will It Take?". The Plimsouls, and their gifted songwriter and leader Peter Case, came out of the fertile LA punk scene. They brought that spirit and energy to a much broader range, drawing from the very best of the preceding 25 years of music - The Beatles, The Byrds, 60s garage, surf rock, and R&B. Their reach is reflected in the covers here: Bo Diddley ("You Can't Judge a Book"), Moby Grape ("Fall on You"), and one of my all times faves The Flamin Groovies' "Jumpin in the Night". This release is so fresh and alive, hard to imagine it was nearly 30 years ago. It fits in remarkably well with a lot of the new stuff by very young bands that we write about here. If you don't know the Plimsouls but love power pop, you must check this out. And this is an absolute must have for even the casual Plimsouls fan. 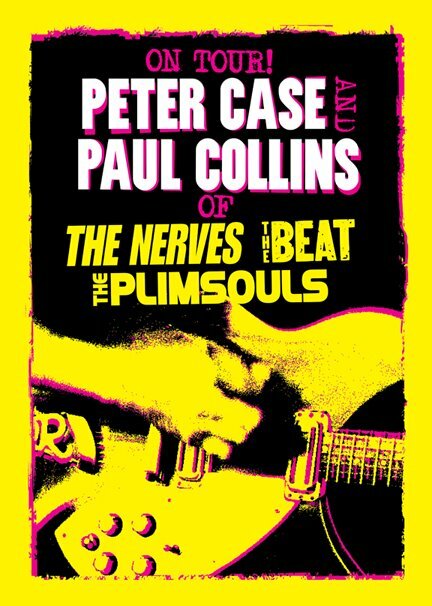 Peter Case and Paul Collins (Case's former partner in The Nerves, his band before the Plimsouls), are touring the country with a full rock band starting in March, playing songs from the Plimsouls, Nerves, The Beat and others. Not to be missed. More info about Beach Town Confidential and the upcoming Peter Case tour dates here: http://www.ymlp.com/zWCSL2. The death of Don Cornelius this week is sad at a great many levels. But today let's celebrate the immeasurable contributions that Mr. Cornelius made to black music and American culture. Every Saturday morning from 1971-2006, Soul Train presented not only the best in soul music, but great interviews, with candid insights into black culture at a time of rapid social change in the US, plus awesome fashion and dancing. It allowed a white kid like me in the 1970's to sneak behind the racial curtain, into the black club, the black church, the classroom at the black college. It was as educational as it was wildly entertaining. There are so many great Soul Train clips on You Tube, I urge you to dive in there, you'll be amazed what you will find. This is my first post for "When You Motor Away." I am honored to be among such august company. There has been a delay since I was first asked to post. I was constant distracted by the next shiny thing. I was always learning something new while on my way to complete another task. First is was the discography of Robert Pollard, then dances of the 50's, 60's and 70's (RIP Don Cornelius) followed by a focus on funk. The only constant was my daily birthday post on another site. Today's birthday was for a godfather of jangle rock/pop. Graham Nash 70 years old today. Prior to his stint with CSNY, Graham was a member of the Hollies - one of the best acts of the British Invasion. Their music was characterized by three part harmonies, ringing guitars, and, of course, the memorable hook. Their influence is recognizable in jangle pops throughout the rock era - The Rasberries, Big Star, and Shoes. Would there have been the New Pornographers without Graham Nash and the Hollies? Their influence has been a constant for the past 45 years. Hollies were a presence on the charts from 1966 to 1969. Give them a listen. Their first recordings were covers. Later recordings were written by the three main vocalists - 2:40 of jangle, rock, and harmony. The harmonies have been cuffed by other groups for years. I often hear the harmonies lifted from this song. How about some chill electronic beats to match the season? Black Marble is Ty Kube and Chris Stewart, a coldwave duo from Brooklyn that gives us icy, minimalist beats and detached baritone vocals. They are packaged in Weight Against The Door, a five-track EP out on Seattle's Hardly Art label. "Pretender" features an insistent beat and effectively builds tension to the end. Here is is the backdrop to scenes from and old movie that fittingly seems to have its own ominous currents. Pretender from BLACK MARBLE on Vimeo. The thing I most love about writing for a music blog is discovering a band that isn't well known yet, but strikes me as the kind of band that can grow and delight you. To my mind, one such band is POST. I put a couple of their songs up on the blog last spring, but they are on my mind again because been busy recording. While the album isn't ready for release, a few unmastered tracks have been made available to whet our interest. The band lists home as Glasgow and Manchester. It seems to my ears that their music is grounded in the urban indie pop of that I most identify with Glasgow. Post is Chris Elkin, Adam Florence, Craig Forbes and Graham Wann. Their album is being engineered and co-produced by Emily MacLaren and Stuart Evans at the Green Door studio, Glasgow, and will be released by the We Can Still Picnic collective. REVIEW: Bare Mutants - HoZac 7"
One of my New Years resolutions is to review and profile more singles, 7", short EPs or whatever the artists and labels are terming them these days. I've come to believe that these recordings are a great way to hear what is new, what artists are trying. It also can be an economical way to try a lot of artists. Of course, not all artists release music that way, and certainly not all labels support such releases. But as an example of the delights of paying attention to shorter releases, I present Chicago's Bare Mutants, and their HoZak 7", which is out in February on HoZac Records. The Bare Mutants are a Chicago indie supergroup, or an indie super side-project (I don't really know which). The lineup includes Jered Gummere (The Ponys) on guitar and vocals, Seth Bohn (Mannequin Men), on bass, Pete Falknor (Derek Nelson & The Musicians, Planetsexploder) on drums, Leslie Deckard on organ, and Jeanine O'Toole (The 1900s) on vocals and percussion. I became captivated by this release before I knew Jered was involved, but I must confess that the Ponys' 2004 album, Laced With Romance, is a staple in my collection. But perhaps more germane to the general audience is his influence on the dominant sound of many recent Brooklyn bands, and on the late Jay Reatard. Below is a video of a session the band did for Coach House Sounds five months ago. It contains both tracks off the 7", in reverse order, and three other songs. Bare Mutants - 6.18.11 from Coach House Sounds on Vimeo. I think this Bare Mutants HoZac 7" is proof that good things can come in small packages. Of course, now we want an LP. We are insatiable. Black Banana is Jennifer Herrema, Brian Mckinley, Kurt Midness, Jaimo Welch, and Nadav Eisenman. They've been together since 2002, and formerly recorded and performed as RTX. In Rad Times Xpress IV, the band has given us thick, up-front bass lines, chunky riffs, metallic runs, whoozy effects, and distorted vocals. This album quickly goes from zero to redline, and if you're left behind, it reaches out, grabs you by the throat and drags you into the party. This band doesn't reinvent rock and roll, but it does twist and distort it in a fashion that I quite enjoyed. The album is released this week on the Drag City label. And as proficient and rocking as this band is, they're clearly having a great time... there's a lot of really fun music on this record. "Nacer 3" is a raging instrumental reminiscent of the Pixies with "vocals" just a spoken word recording of, in the band's words "A Mad South American Preacher". 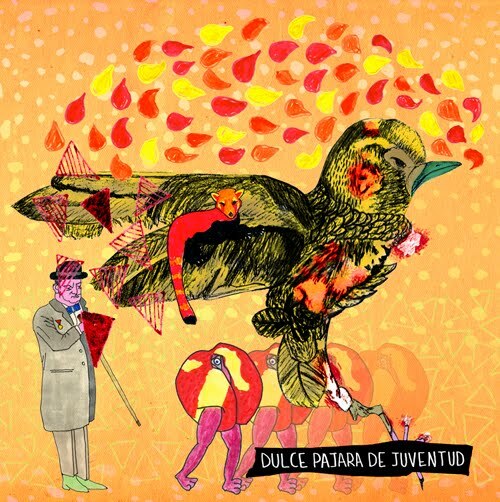 "Junior vs Death" is a pop/punk masterpiece with a shouted chorus, a bouncing bassline and a punk backbeat... try to sit still while you're listening. You won't be able to. Here's a video for "It's Like Disappear", one of their earlier, acoustic songs. English, Spanish, in any language... I can't stop listening to this record and expect it to be in the rotation for quite a while. 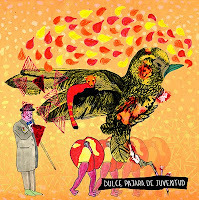 And here's the website for their label, Dulce Pájara de Juventud at BCore Disc. New Stuff: Laura Gibson "La Grande"
Laura Gibson is yet another talented artist from Portland OR. Her new CD La Grande is a sneaky affair, seems hushed and low key at first, until you absorb the spooky, spaghetti western, high desert undertones. The record veers way out of the usual singer-songwriter guitar-strumming norm with interesting rhythms (sometimes with 2 drummers), and highly effective horns and piano/keyboards. Gibson gets some first rate backing from Joey Burns of Calexico and members of the Decemberists.